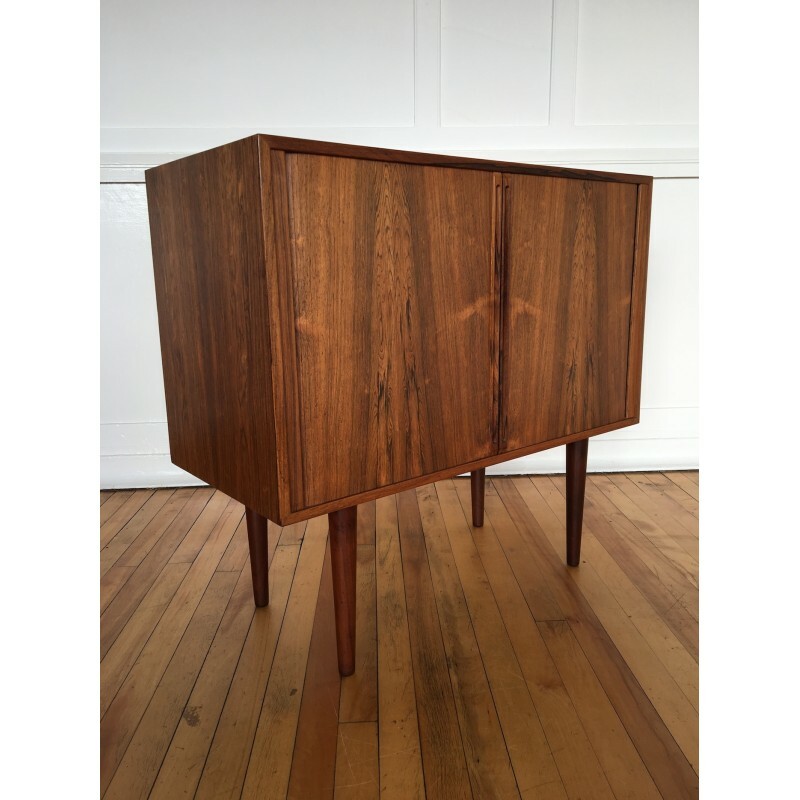 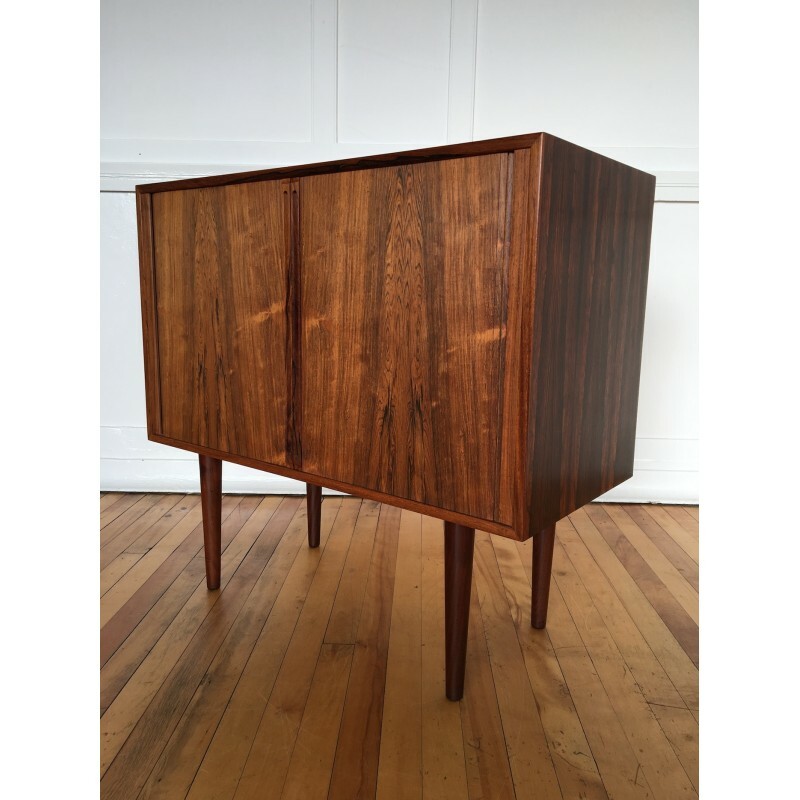 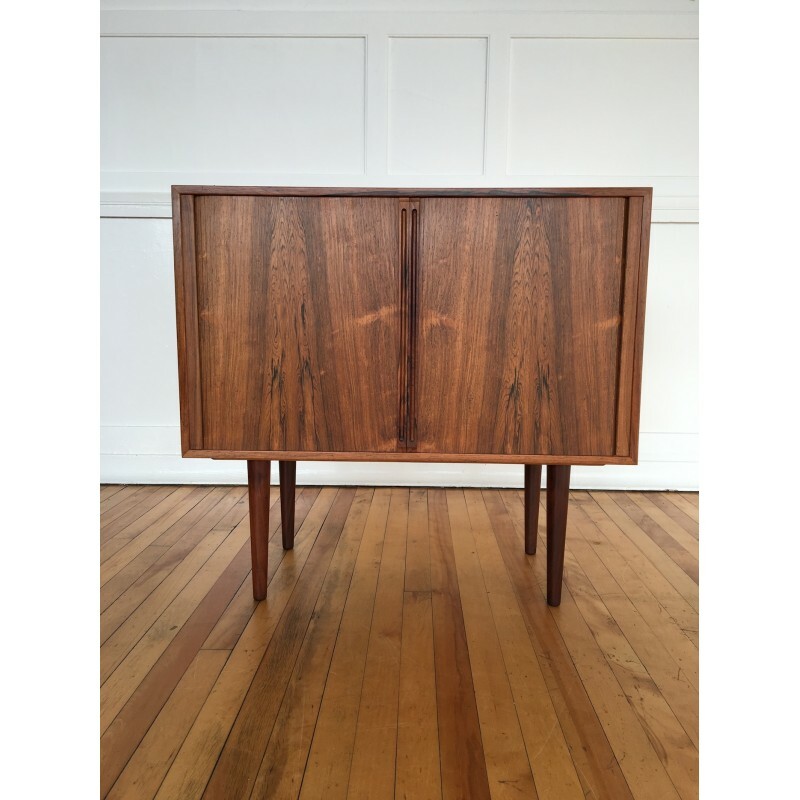 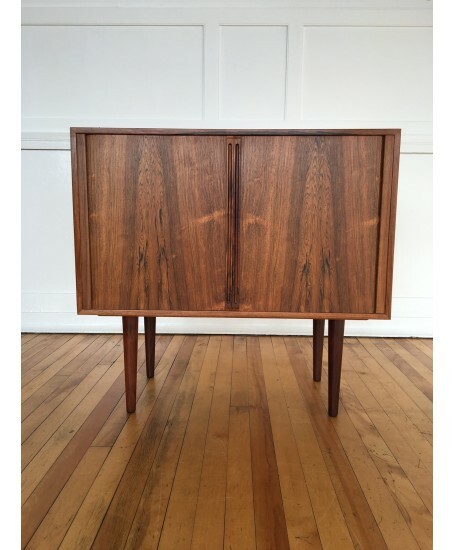 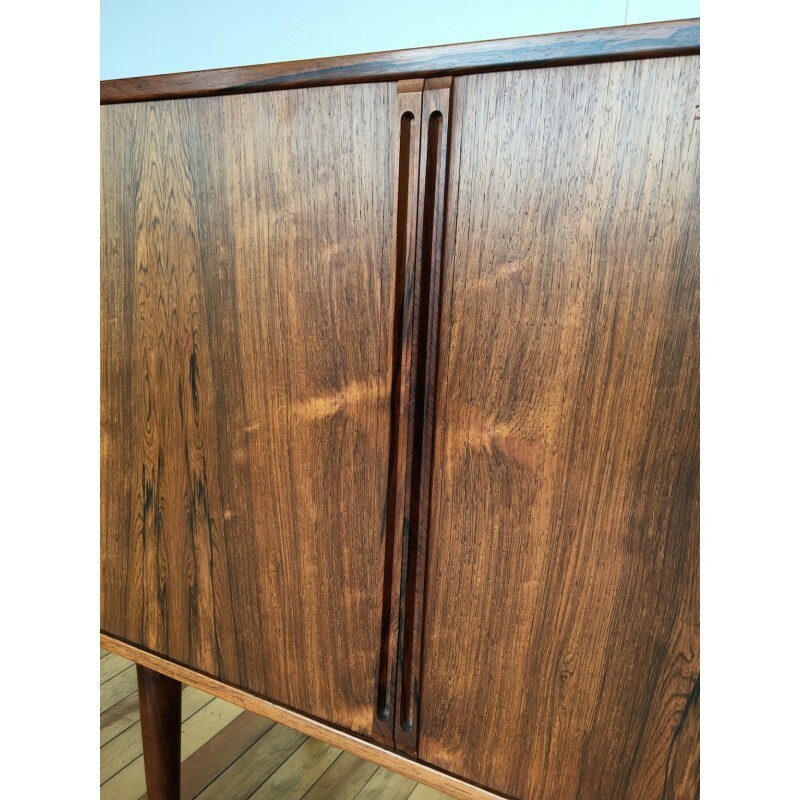 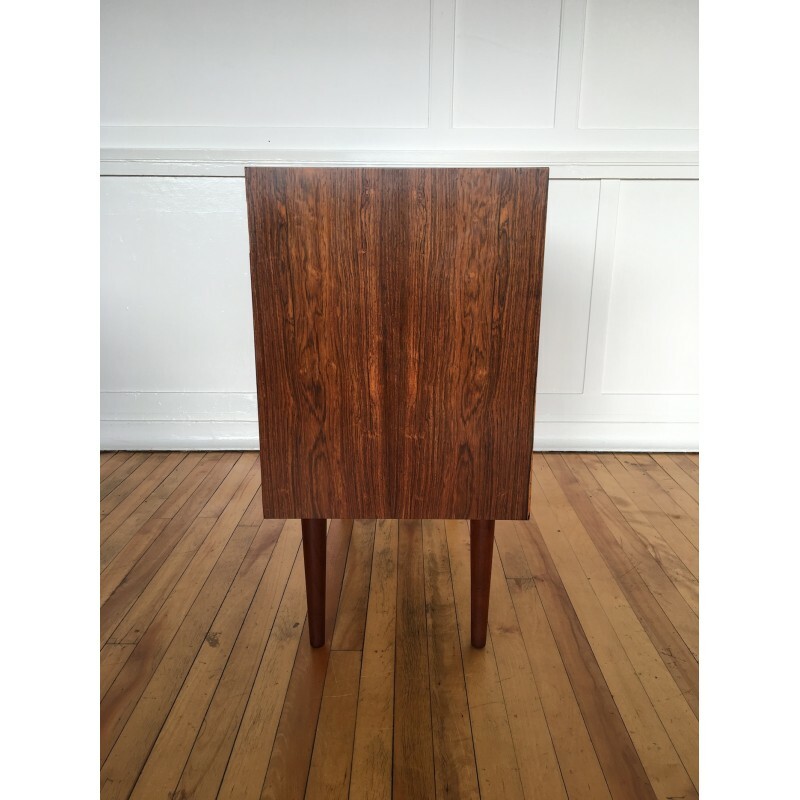 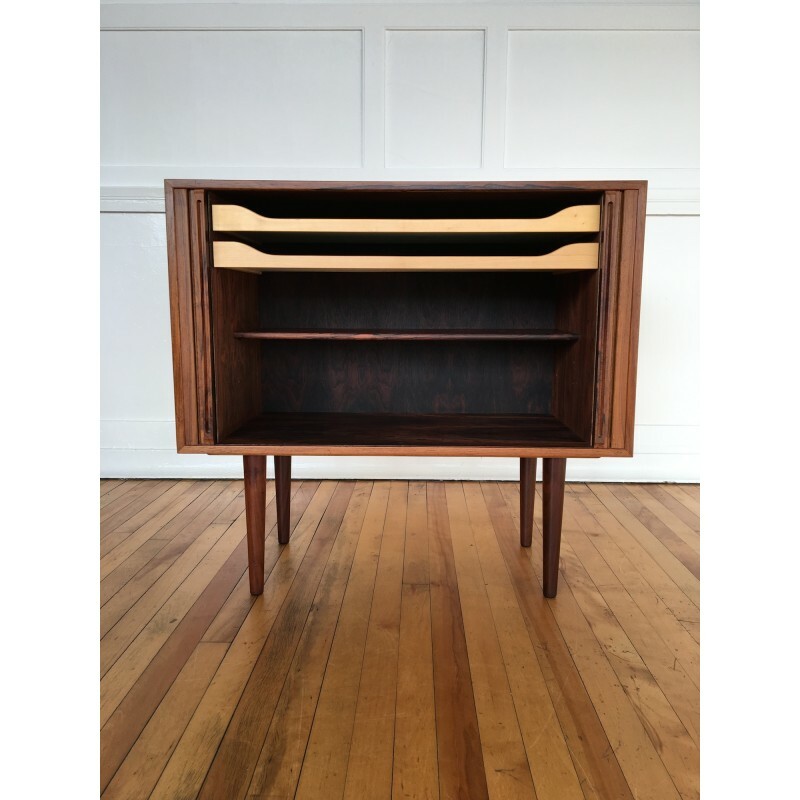 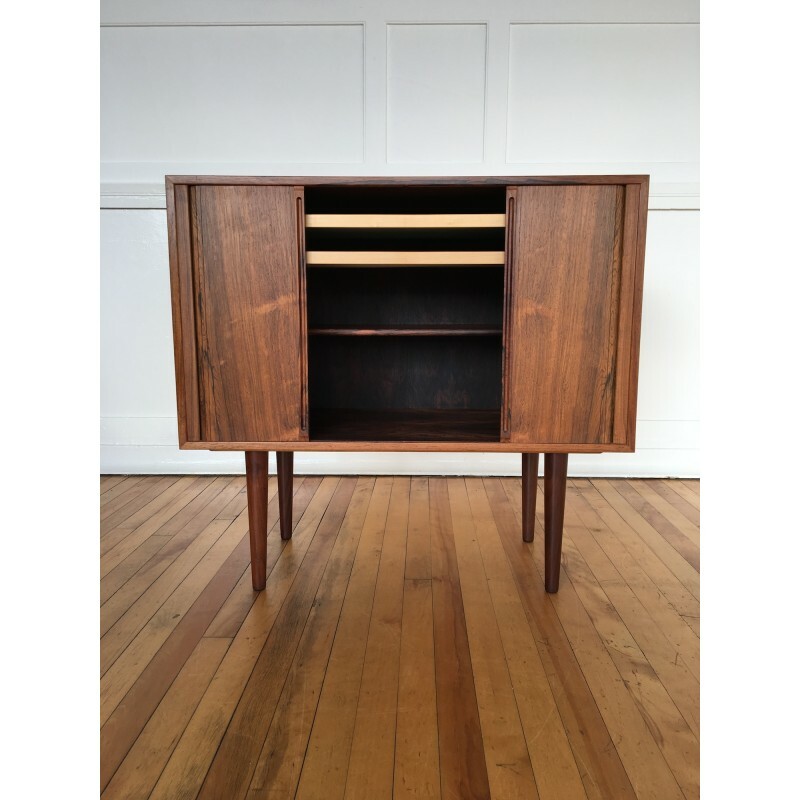 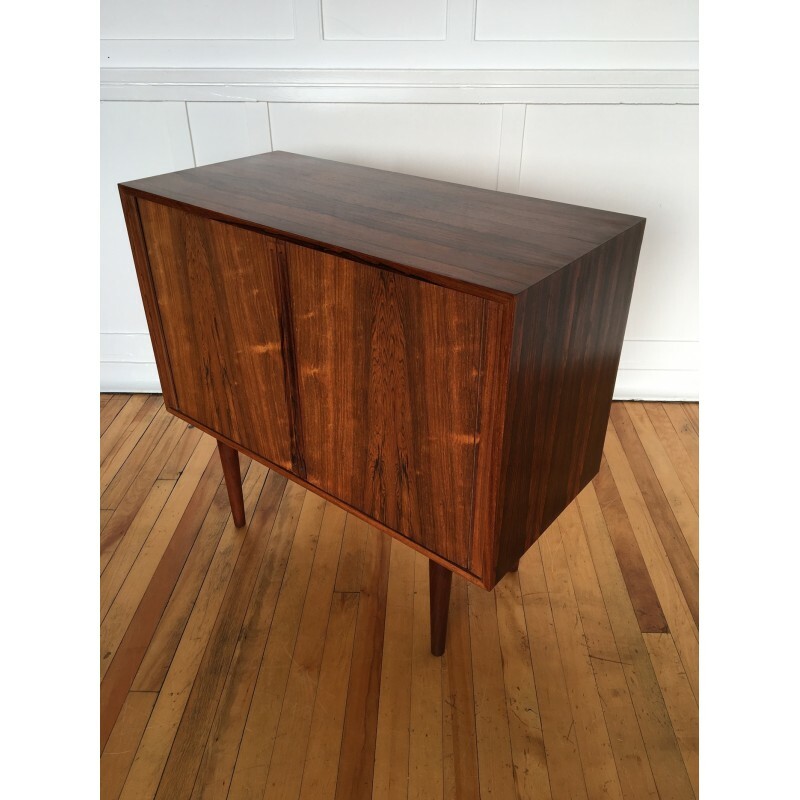 A lovely rosewood cabinet designed by Kai Kristiansen for Feldballes Mobelfabrik, circa 1960's. 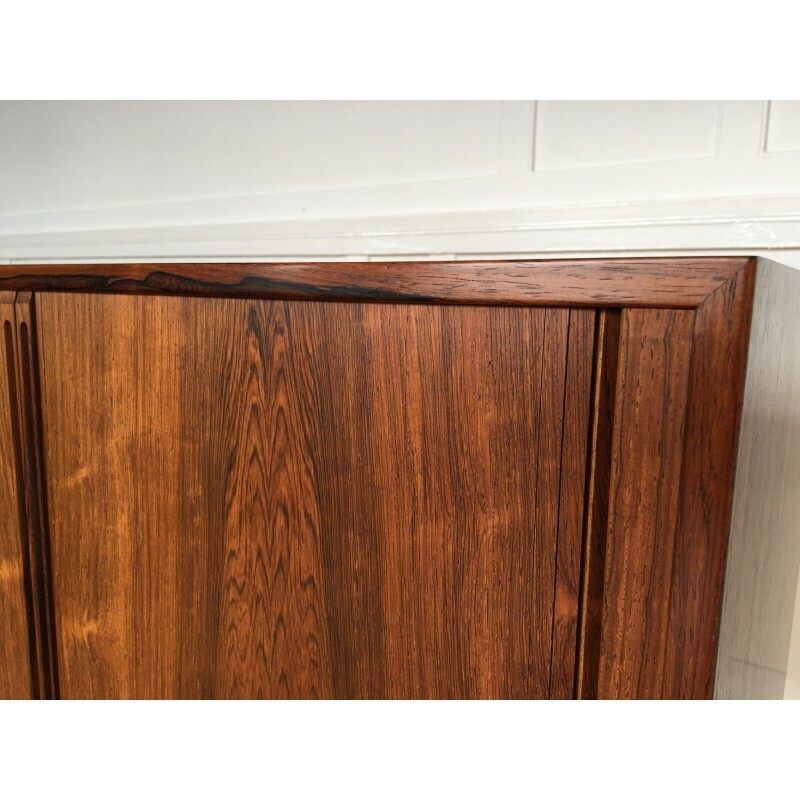 The cabinet features two beautifully crafted tambour doors with elegant slimline pulls. 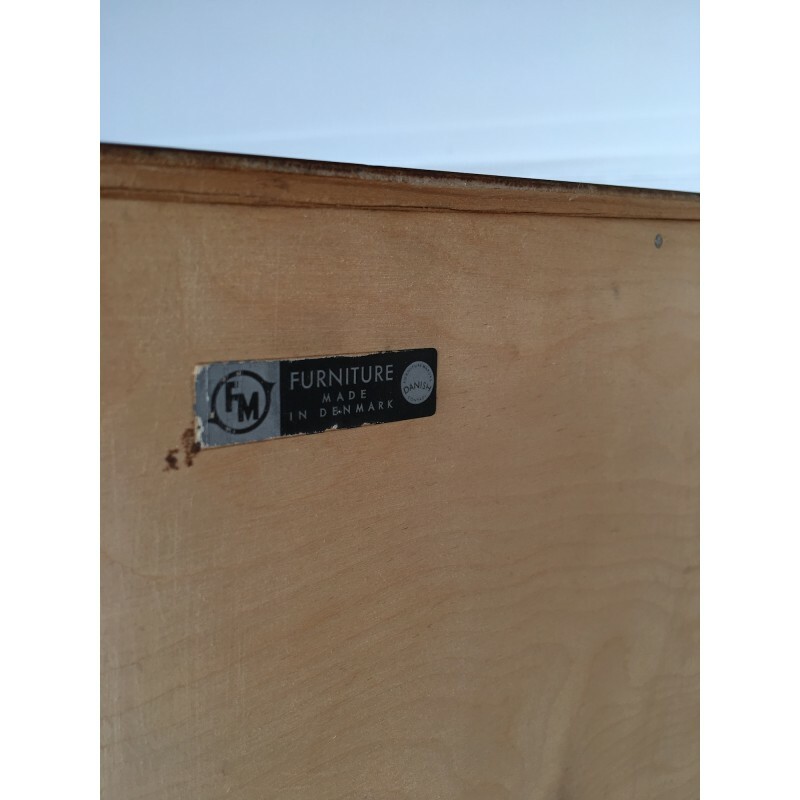 Behind the doors are two drawers lined with green felt and an adjustable shelf. 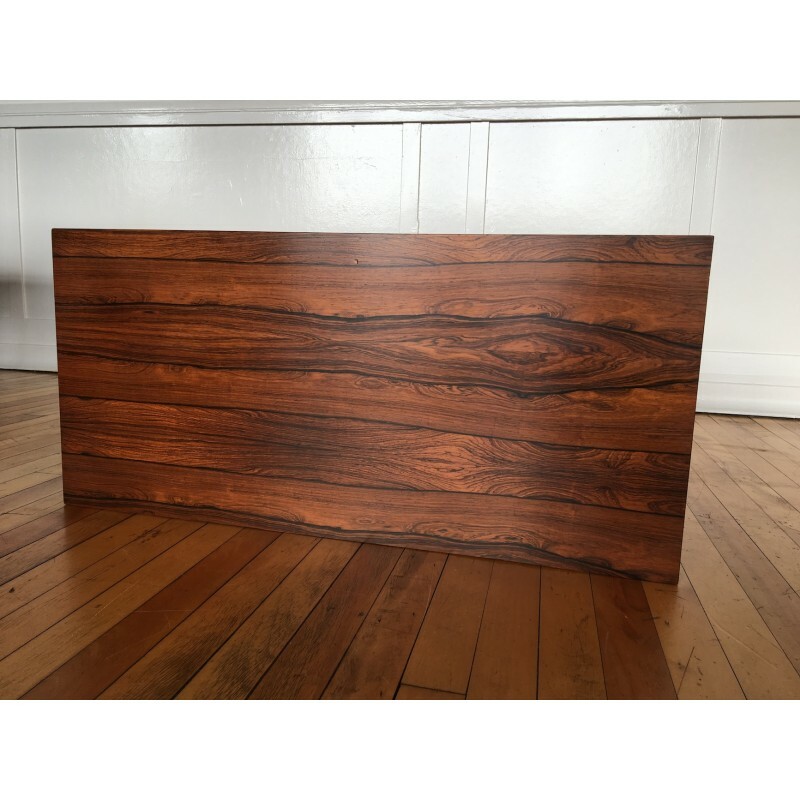 The interior is also finished in rosewood.